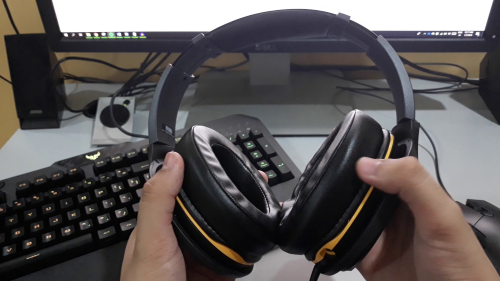 Last but not the least in our mini-series of TUF Gaming peripheral reviews is the TUF Gaming H5 Headset. As the name and aesthetics suggests, it’s aimed squarely at gamers. Compared to its M5 and K5 brethren, the H5 is facing even stiffer competition. So, does it have what it takes to take them head on? The TUF Gaming H5 looks like your typical gaming headset. 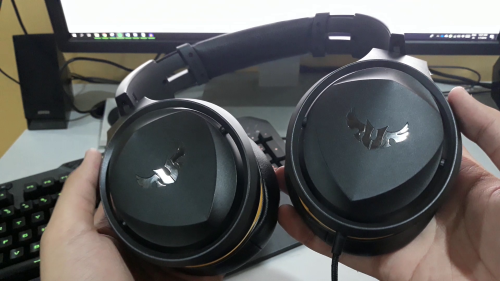 The black with yellow accents give it a unique color scheme I haven’t seen since the SteelSeries Siberia Na’Vi edition, but in reverse. I’m glad ASUS opted not to do the H5 in grey or silver because that would’ve made it much less conspicuous. The chrome logo isn’t shiny and the earcups aren’t as big as you’d think. Don’t use the boom mic and the H5 may actually be bearable to wear out on the streets. Unfortunately, the H5 forgoes any RGB lighting, or indeed any lighting, which makes it the only one in the TUF Gaming line of peripherals not to have Aura Sync compatibility. The TUF Gaming H5’s foam earcups are among the most comfortable I’ve ever used. They’re quite thick and very soft so you don’t feel as though your head’s being clamped between hard plastic. The generous amount of swivel means they make a good seal around your ear as well, so you’ve at least got some noise isolation. The cushioning for the headband isn’t as thick, however, which made using the H5 for long periods uncomfortable for the top of my head. It’s a shame because if not for that, the H5 would’ve scored perfectly for comfort. 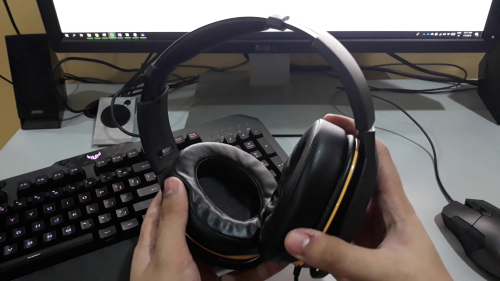 Like most gaming headsets, the TUF Gaming H5 is compatible across all relevant platforms such as the Xbox One, PS4, Nintendo Switch, Mac, and of course, Windows. This means you shouldn’t have a problem living with this one headset for all your listening needs. The 1.2 meter cable might be considered short by some considering that most earphones today are 1.5 meters long. 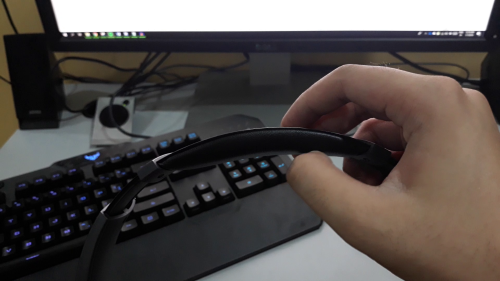 ASUS does provide an extension cable in case you need it. You can also directly attach the boom mic to it if, for whatever reason, you don’t want to attach it directly to the H5. There’s also a USB audio dongle included where you can toggle 7.1 virtual surround audio. I would advise against using this as you’d be relying on the built-in DAC versus your on-board sound solution, which should better. Using the dongle is not a deal-breaker by any means, but the 7.1 virtual surround mode didn’t really make an appreciable difference during gaming either. 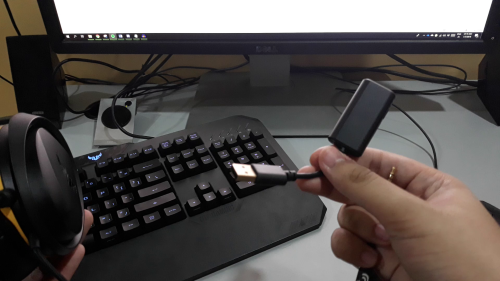 I’d say save that USB slot for something more useful. As expected, this being a gaming headset, bass and low frequencies are more emphasized than the mids and highs. There’s plenty of detail and crispness to the sound when you’re listening to music. But compared to my ATH-M50, which is sort of an entry-level audiophile headphones, the H5 isn’t close to it’s level of clarity and balance. For games though, the H5 performs really well. The closed design and nice seal on your ears helps immersion so you can identify just where the enemies are in shooter games. Dialogue is clear between characters and explosions have enough depth to them for you to enjoy the experience. The detachable boom mic was able to pick up my voice clearly, but easily picks up wind noise as well. 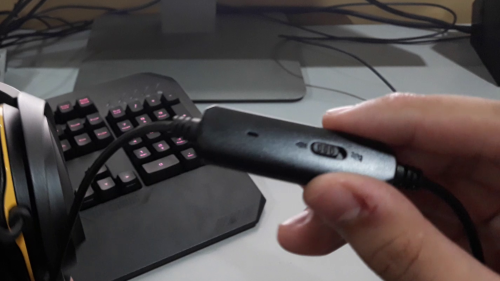 If you game with a fan next you, that’s something that you might want to watch out for. In-line controls are volume control wheel and a microphone mute switch. There’s also an in-line mic, surprisingly, which means you don’t even have to use the boom mic. It’s not as good as the boom mic, but more than usable for when you’re using it outside where a boom mic would look ridiculous to use. 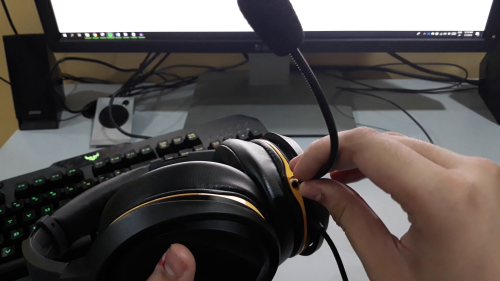 As far as gaming headsets go, the TUF Gaming H5 offers the expected level of build and sound quality. 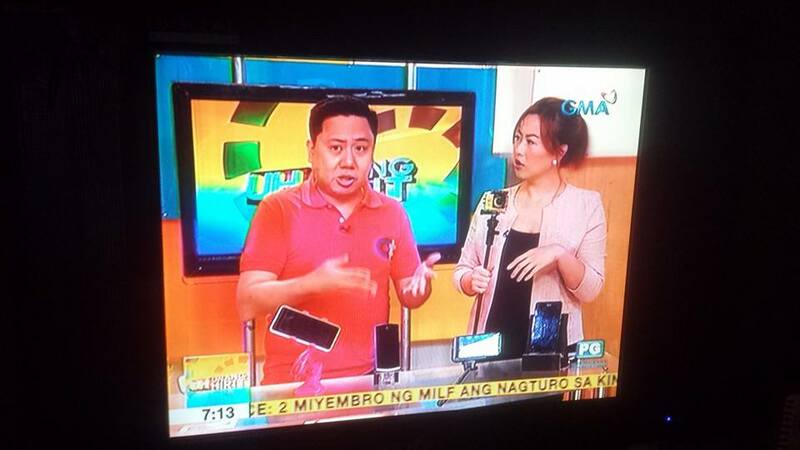 Which is a problem because at an SRP of nearly Php 5,000, the H5 is up against the likes of the Corsair HS70, the HyperX Cloud Revolver, the SteelSeries Arctis 5, and even ASUS’s own ROG Orion. 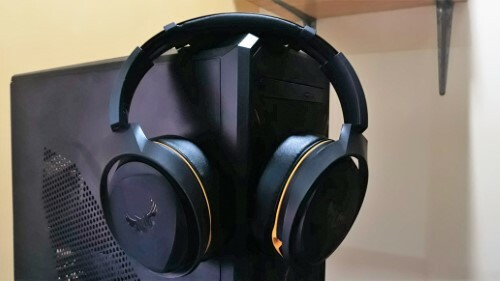 With features such as RGB lighting, wireless connectivity, better branding, and generally better availability, the H5’s competition are all generally more desirable. Whereas it’s K5 and M5 siblings had unique features such as comfortable membrane keys and a small, light, and ambidextrous design respectively, the H5 has no such stand-out feature of its own. It’s at this point where I would usually point out that, being a TUF-branded device, it could at least lean on its extra durability or ‘TUF-ness’, as I would say. But with some of its rivals also having steel construction, the H5 can’t even bank on that feature. All things considered, the TUF Gaming H5 is a very tough sale.